Welcome to St Paul and Bethany Ministry! We’re glad you found us. 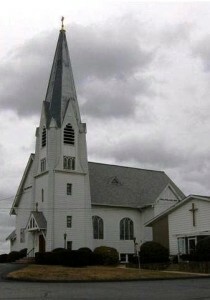 St Paul Lutheran Church and Bethany Ministry in Warwick, RI is a warm, friendly congregation in the New England Synod of the Evangelical Lutheran Church in America. We strive to share the good news of God’s love with all people. This doesn’t just happen on Sunday mornings in worship, but in serving the local community and the world. Wherever you are on your spiritual journey, you are welcome here!